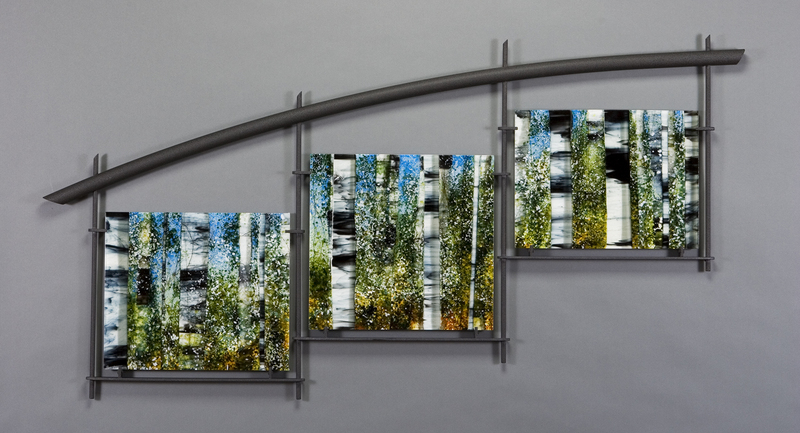 Three glass panels, various sizes. 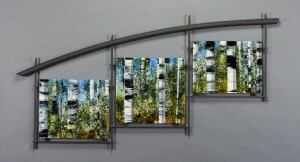 Frame, 38 by 74 inches. Returning is the first large scale work made after more then a year of absence from the studio. Reflecting newer imagery, techniques and palette, this work gave me the chance to start over with richer compositions while staying anchored in my personal traditions.